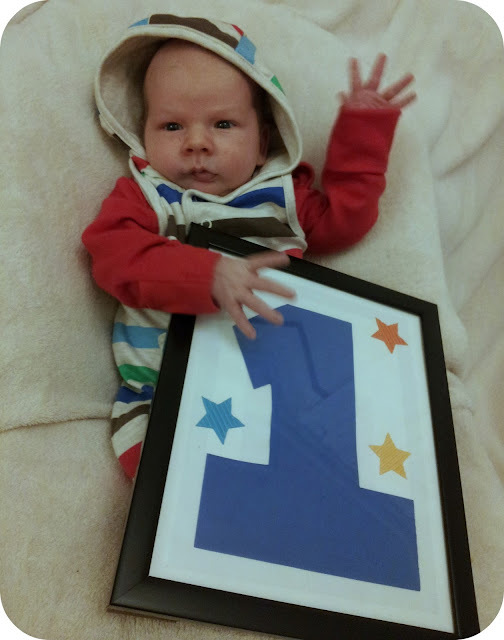 I'm not sure if it is the fact that February is so short, but this first month of Archie's life has flown by. 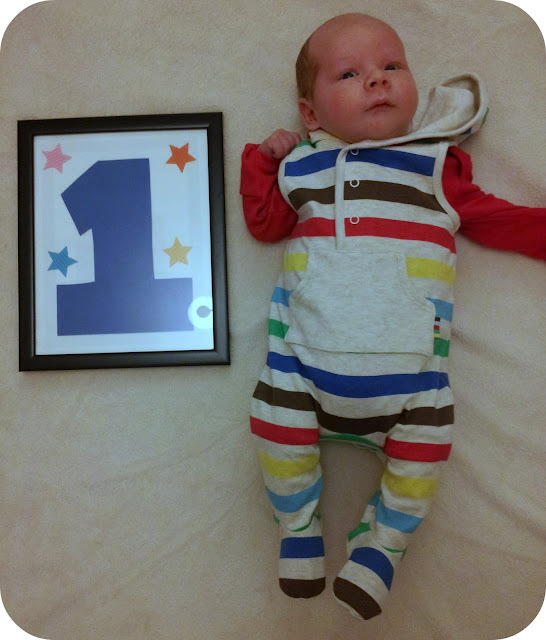 According to my information a baby is considered a newborn for three months, which means I am a third of the way through those squishy, cuddly new baby days and I would love for time to slow down! newborns cannot stay awake for longer than one hour was certainly lying and my little man is awake the majority of the day with short power naps every now and again. You would presume this means he is a good sleeper at night but at 4 weeks he sleeps anything from 1-3 hours at a time between night feeds. Luckily he is very good at feeding and settling straight off again as I certainly don't have the energy for playtime at 3am! He will mostly sleep in his crib at night but there are nights where he spends a lot of time cuddles up with me and during the day getting him to sleep somewhere that is not my chest is a mission! He loves to be swaddled and definitely prefers sleeping on his tummy to his back. Breastfeeding is going well and the little guy is a bit of a milk monster! 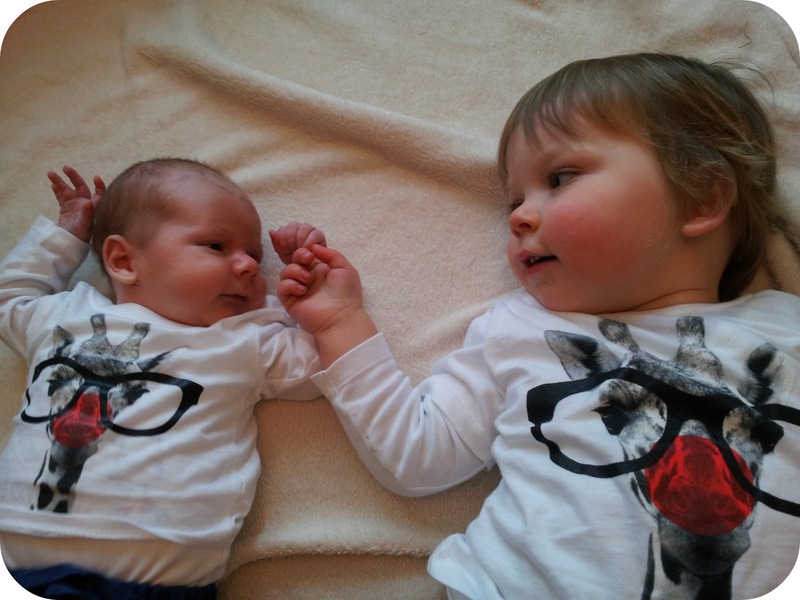 He weighs 10lb 13oz and I am sure he will carry on growing fast if he is anything like his big brother. 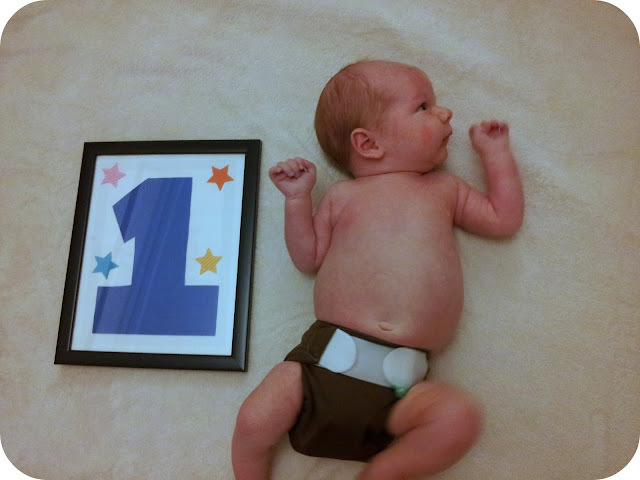 He is comfortably in 0-3 month clothes and the tiny newborn bits are being sadly packed away. Although the back of his head is still covered in hair it has all fallen out on top now which gives him the funny monk look but with it still being winter he usually has a little hat to keep that covered. Dylan is still being a fantastic big brother and is insistent on sharing certain things with Archie and including him in games. When the little guy cries, Dylan comes and gets me to give him a 'cuggle' but not until he has offered him a teddy of course. He also loves to come and sit next to Archie and hold his hand when it is time for a nappy change. Life as a family of four feels right and I am the proudest parent out walking with my two gorgeous boys side by side in their double buggy. We are out the house every day and getting more adventurous and optimistic with how early we aim to be out and how far we will travel. Ahhh, he sounds so much like my little lady. She was always super alert and awake in the day, right from the start. And she lost her hair in that monk look too!!! As did the little man. I too, resorted to putting them in hats a lot, thankfully he was Feb and she was Sept. I'm not sure what I'd do with a bald summer baby!!! How Beautiful is little Archie, I'm just catching up on blog posts now and yes our little ones are roughly the same age. Little Missy Mission turned one month today. Glad things are good and i'm sure sleep will return soon.